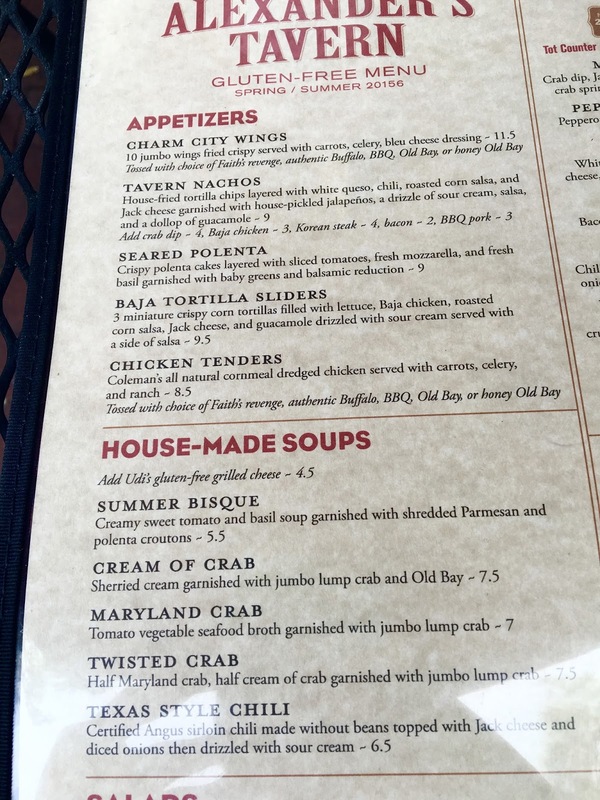 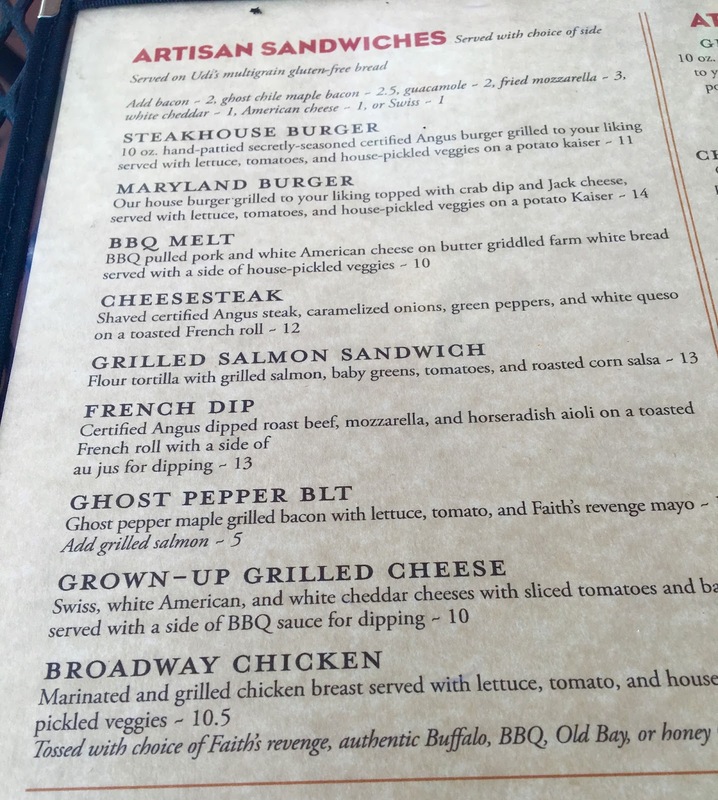 Alexander's Tavern in Baltimore's historic Fell's Point neighborhood is the rare restaurant whose gluten-free menu is as impressive as the non-gluten one. 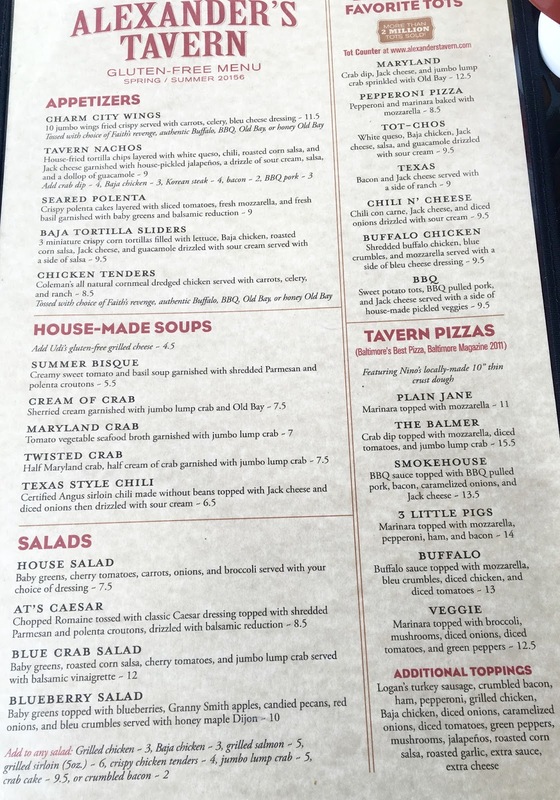 Spanning two pages, and packed with options, it's easy to find something the whole family will love to eat at this all-American restaurant. 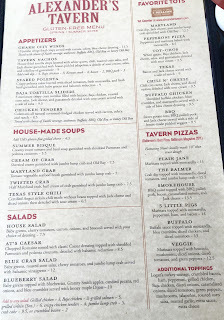 My full review of Alexander's Tavern is coming soon (link will be added here when published) but I could not wait to share the amazing menu the restaurant offers. 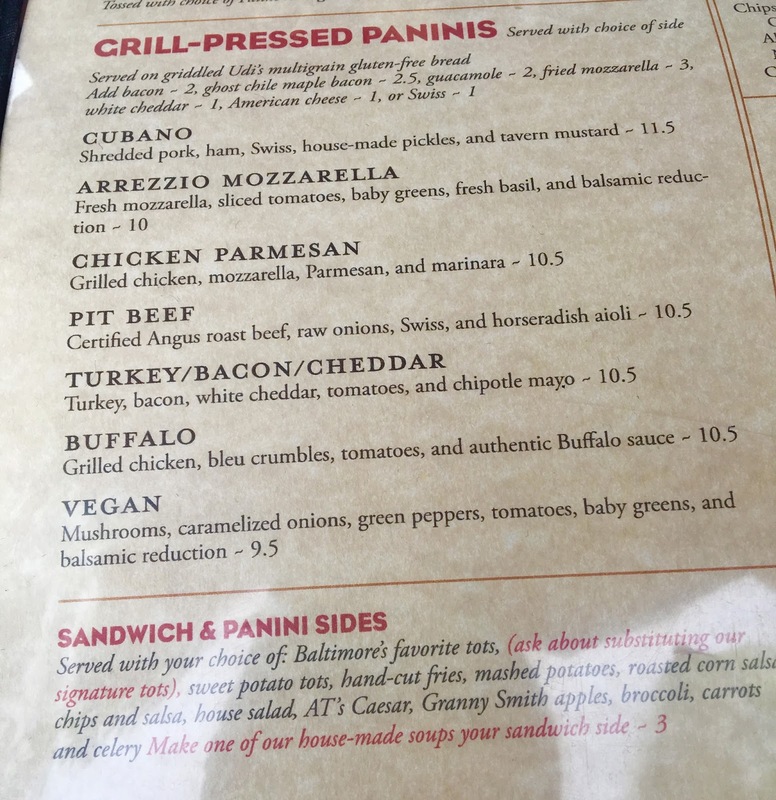 The offerings do change seasonally, so note that the items featured may not be available in the future, and that daily specials are marked gluten-free if they are or can be modified to be safe. 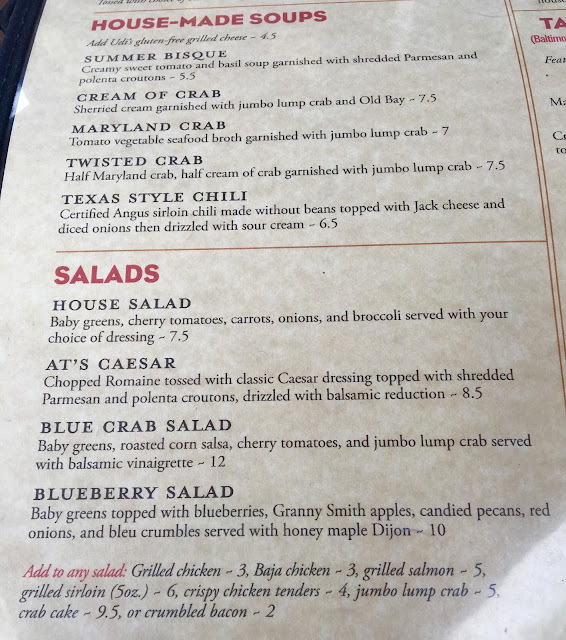 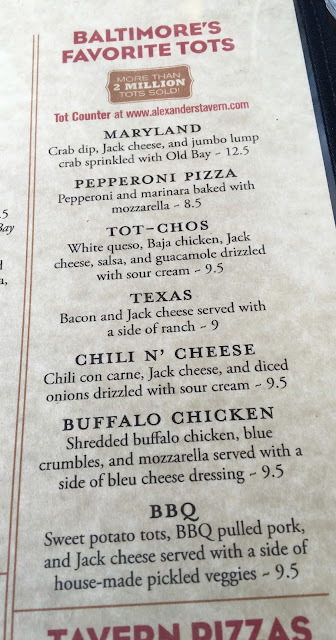 I definitely will be making a return visit to Alexander's Tavern and will update this post with more current menus when available. Pizzas made on Udi's Gluten Free crust. 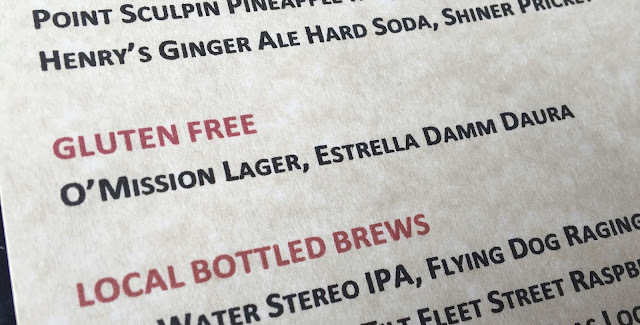 Note: O'Mission is a gluten-removed beer made with malted barley.